Elie's back and this is her last post about Bohol. Not her last post on this blog I hope. 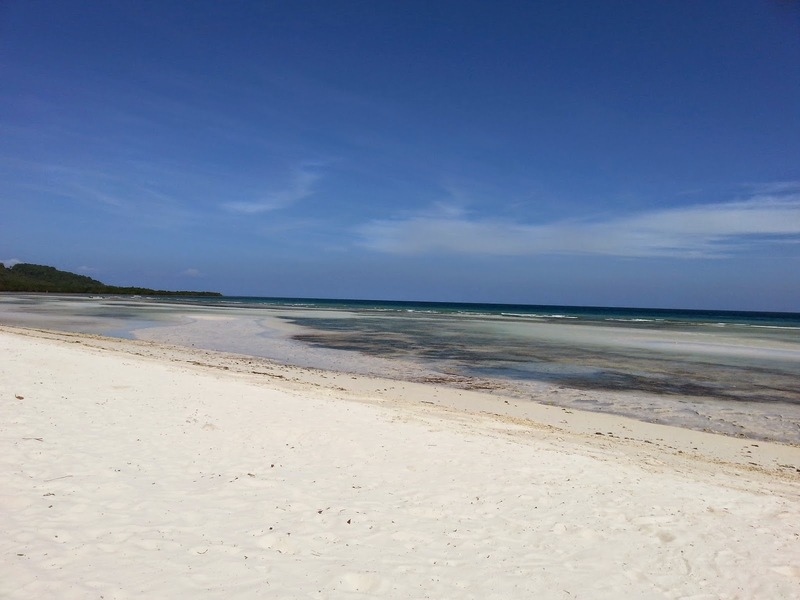 If you have any questions about Bohol, Philipines, feel free to drop it in the comments below or hop on over to her blog at Shneep's Corner for more of her exciting adventures. It’s me again! I hope you guys haven’t gotten bored of me because I haven’t finished up on my adventures in Bohol so let’s cut the chase and get onto pace. (Yes, I worked hard on that!) We often question of the things to do regardless the country we’re in and I always believe that there isn’t a better way to know than to read what others have to say which is why I have compiled the top 6 things you should do when you’re in Bohol! You’ll be amazed how much of Bohol is still kept the way it is from thousands of years ago what with structures such as churches, houses and other build ups still standing strong today. While some buildings have unfortunately been ruined from the earthquake that hit Bohol in October 2013, the locals; or the Boholanos as they address themselves; are making great effort in bringing it back to perfection. 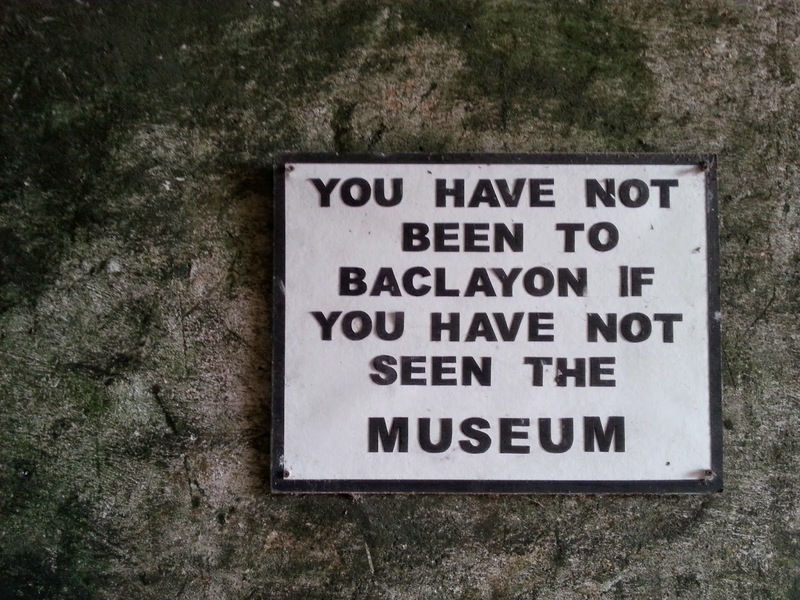 Located along the Tagbilaran East Road, you cannot miss out on visiting the Baclayon Church. To the Boholanos, it is also known as The Immaculate Conception of the Virgin Mary Parish Church and is the oldest church in Bohol, having been built in the year 1727. The church today is unable to hold masses as the walls crumbled from the earthquake but it was once a place where church goers flock to on Sundays for mass. Above the church also stands the Baclayon Museum that houses old artifacts such as old scriptures and testaments from previous popes. Entrance fees are set at PHP 50 per person and the money collected goes into funding the upkeep of the church but I thought it was the best RM 3.70 ever spent what with the amount of things your eyes could see. While you’re on that street, you should also not miss out on stopping by the Blood Compact Shrine, a monument built by a Boholano artist called Napeleon Abueva in commemoration of the Sikatuna-Legaspi blood compact in the year 1565. 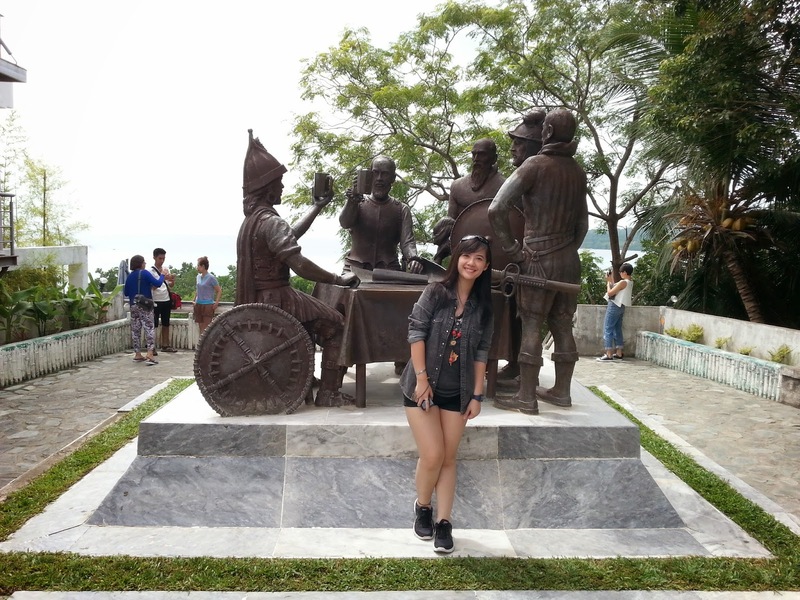 It’s a free tourist spot and if you walk behind the monument, you can even overlook the Bohol sea, which is a grand view all together. 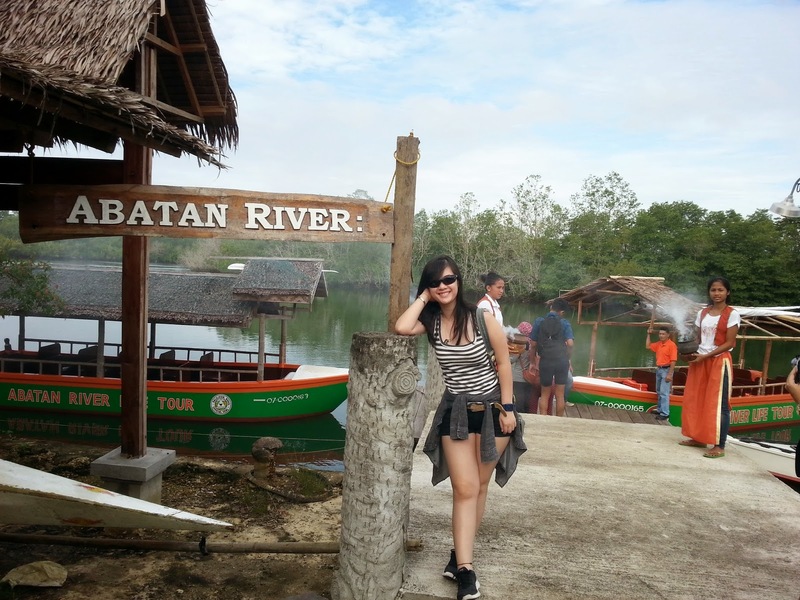 Like having lunch on a boat while cruising down Loboc River. 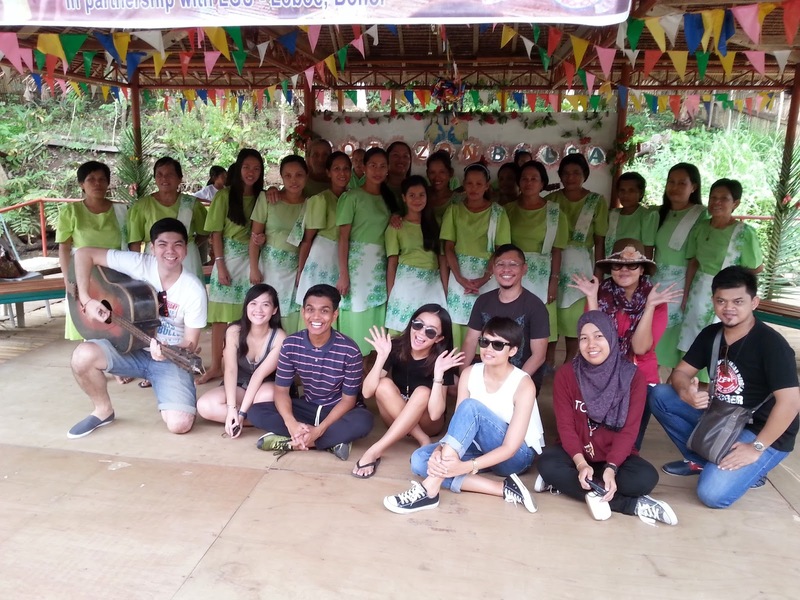 Handled by the Village Floating Resto and Cruises at a price between PHP 450 – PHP 500 per person, the lunch buffet will include an hour or more of cruising down Loboc River while being serenaded by a talented singer along the way. 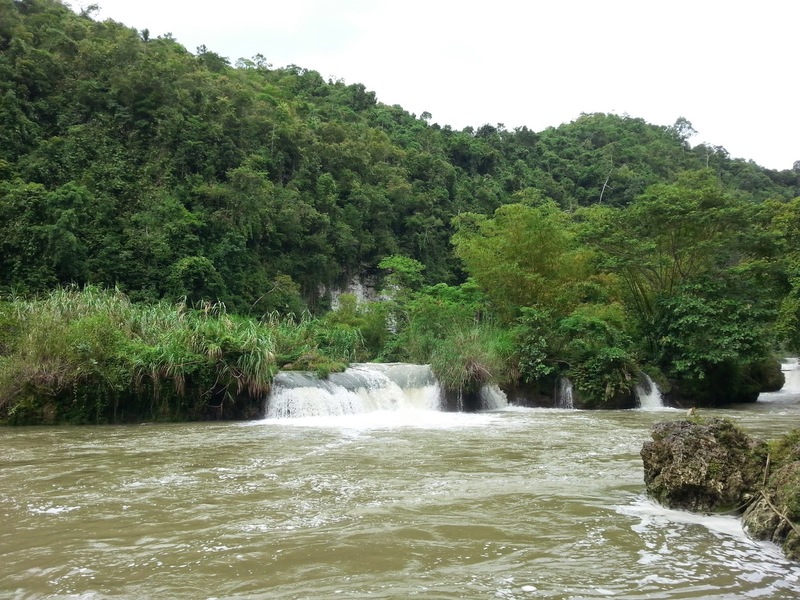 Stops are essential when you arrive the beginning of the river as the boat does not quite have the power to fight against the stream but when you’re there, you will be flurried with the sights of little waterfalls and strong currents from the river flows. It could get chilly from the winds that bring little droplets of water but it is very comfortable especially on hot days. The highlight of the cruise however would be the stop they make at a little rest area where villagers are waiting and a series of performances will ensue. You will be able to enjoy traditional dances, listen to their melodic singing (I don’t know if it’s just me but I think ALL Filipinos can sing!) then be smitten by their heartfelt smiles. And if that’s all not in your book of enjoyment, there’s always a hammock to chill out when you’re on the boat. Here is something less seen, a little creature called the tarsier. While it is usually found in Asia, tarsiers are now considered endangered creatures and the famous Philippine tarsier (No doubt only found in Philippines) is one of the tiniest primates ever. Boasting a body of only a mere 85mm to 160mm and weighing just about 80g to 160g, the tarsiers are mostly seen with long tails and huge eyes that are fixated to their skulls. They’re also nocturnal animals so sometimes if you’re there in the day, you’ll mostly catch them in a tarsier dreamland while on the tree. The lucky would sometimes catch a tarsier or two who are fast awake so you could look at them…looking back at you with their huge eyes. They can turn their heads to about 180 degrees as they do not have eye sockets and have sharp teeth to eat. 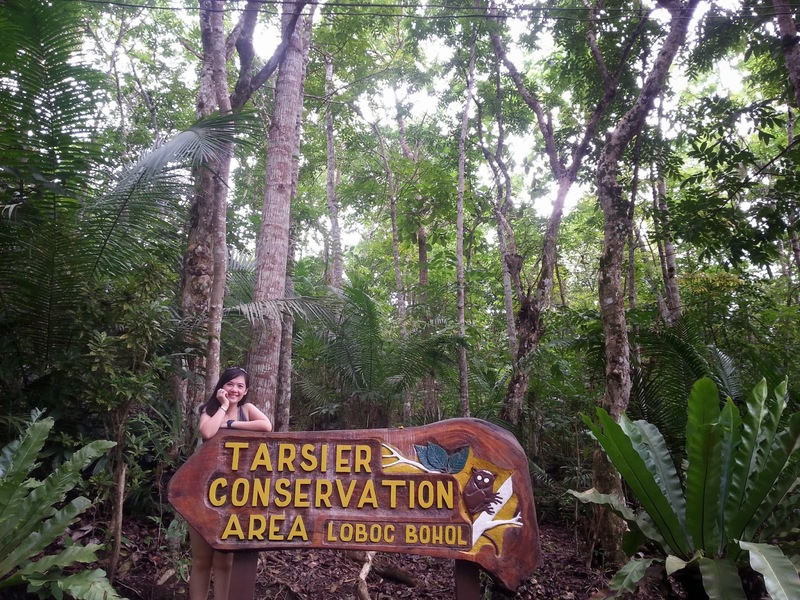 It was one of the most interesting things to see while I was in Bohol because never in my life would I have imagined coming across looking at a tarsier and I came to learn that they’re different from a loris. They’re different, I don’t know how but they just are. 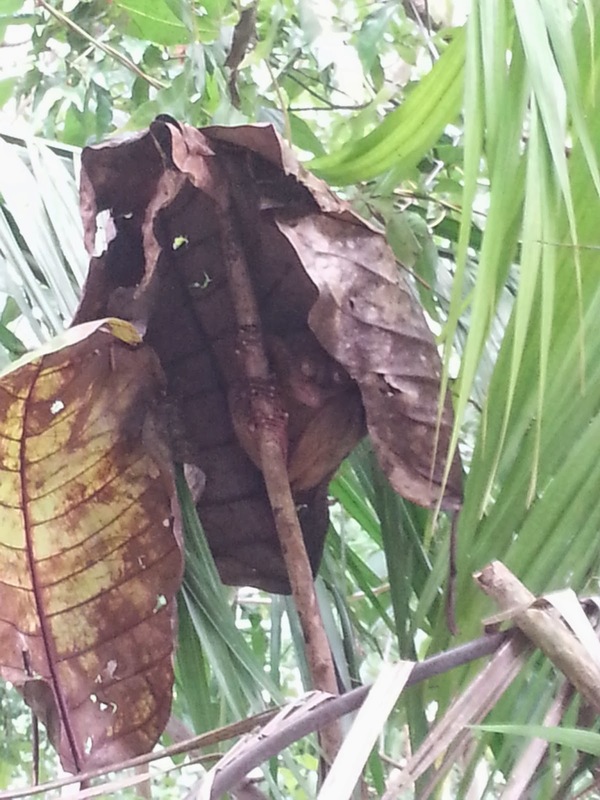 And here is a not-so-fun fact from our tour guide Eric: Male tarsiers may sometimes be jealous of female tarsiers that would nurse the baby tarsiers so they would kill the young. Their own child, how could they?! 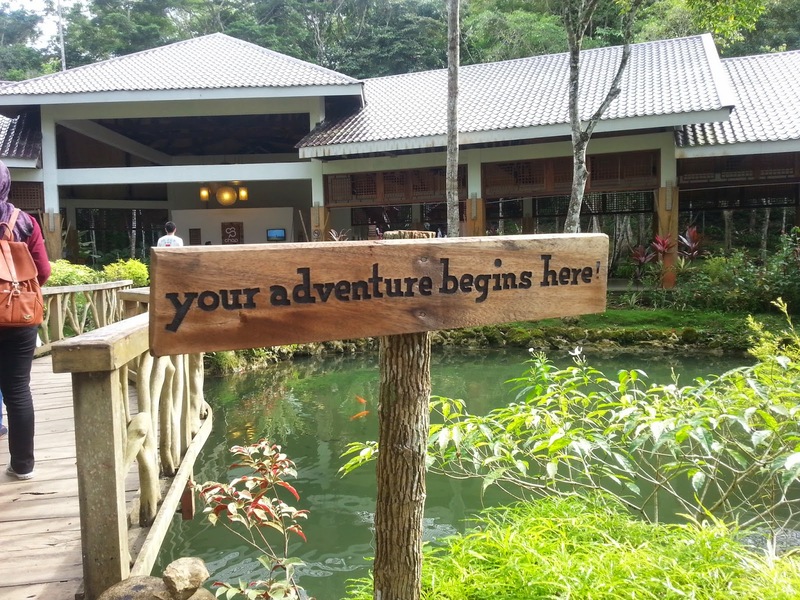 Adrenaline junkies and non-adrenaline junkies alike, this one’s for you because you cannot just be at Bohol and NOT visit the Chocolate Hills Adventure Park (CHAP) in Buenos Aires, Carmen, Bohol! Now when I said you just had to be here if you’re an adrenaline junkie, it’s really because CHAP hosts an array of interesting activities that are great for those seeking thrills; including hanging bridges, vine walks and the ultimatum of it all: the zip line biking. Hanging at 100 meters off ground and going at 275 meters each way, the zip line biking only costs PHP 400 per person and photo prints with soft copies (When requested) only costs PHP 100! It’s an experience that you won’t get anywhere and you don’t need any biking knowledge to get a go at it. All you need is a little courage, a dash of spirit and a whole lot of stamina…reason to be explained later on. For the less daring, fret not. CHAP isn’t just home to the adventurous but for the ones who needs just a little breakaway from the sights of concrete buildings too. 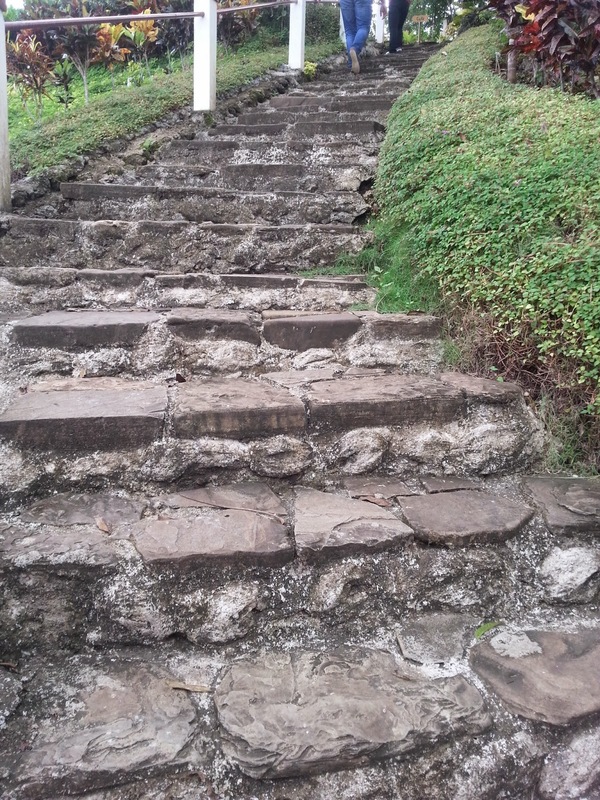 With numerous areas such as the butterfly park and snake enclosures, CHAP does make it a well worth visit especially if you take the hike 438 steps up (THIS IS WHY YOU NEED STAMINA!) to arrive at the breathtaking viewing deck just before setting onto the zip line biking. The overall experience at CHAP will be fantastically rewarding and it’s one of the places you absolutely HAVE to visit before you kick any buckets! 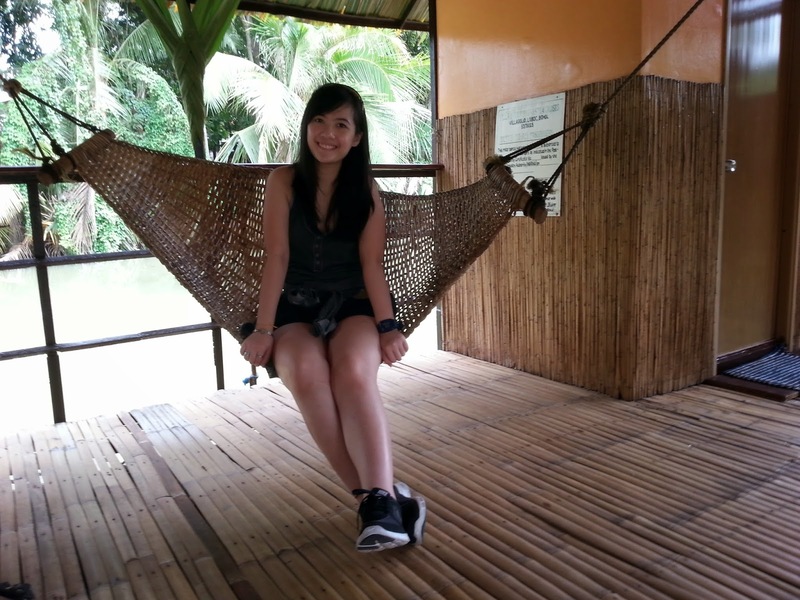 Entrance to CHAP is only priced at PHP 60 while other adventurous activities are priced as they go. 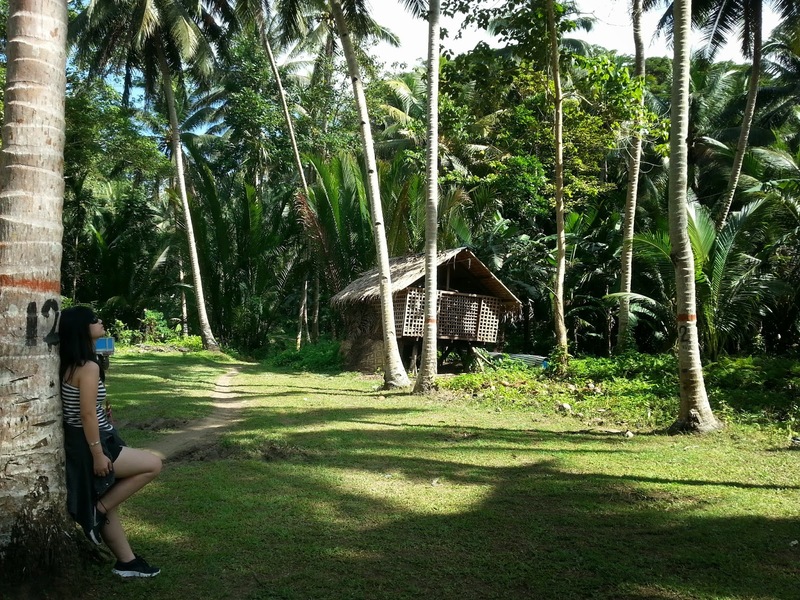 If you’re out looking for a shopping good time or food trail spirit in Bohol, perhaps then you should also get into watching how their villagers live; all available through a rewarding river life tour by the Abatan River to visit the villages set in Bohol. The river cruise will take between 2 to 3 hours and it would take you to a stop called the Maribojoc Village where we were first entertained by a little show put up by the villagers. Maribojoc generally is a little place and we were all crowding around just to see how the villagers would create roofs out of the “nipah” leaves that they would collect in the “nipah” areas along the Abatan River; a sight so different from our regular tiled roofs. Another place you would set foot in is that Antequera Village, the true place of blissful peace that you just don’t want to leave when you have to. While you won’t be graced with big shows and fancy dances, the villagers of Antequera does make you feel right at home as you explore the vast green lands and they go on with their lives or creating furniture out of bamboo, pounding grains for rice and weaving for items to sell. Residents of the Antequera Village have become so accustomed to life that even the tiniest of things will make them happy as can be and that’s the only thing you should ever aim to have. It is the joy of nature and the happiness that follows. 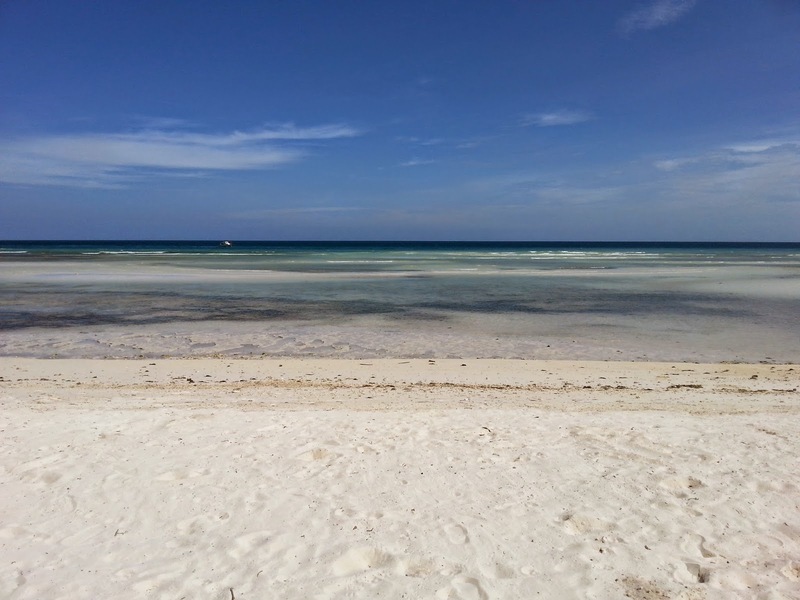 I guess it’s safe to say that you can’t just visit Bohol and not shoot off to islands and the one that we have been brought to is a beach called Anda Beach, some 2 hours away from the city center of Tagbilaran. Far as the drive can be (That’s 4 hours back and forth! 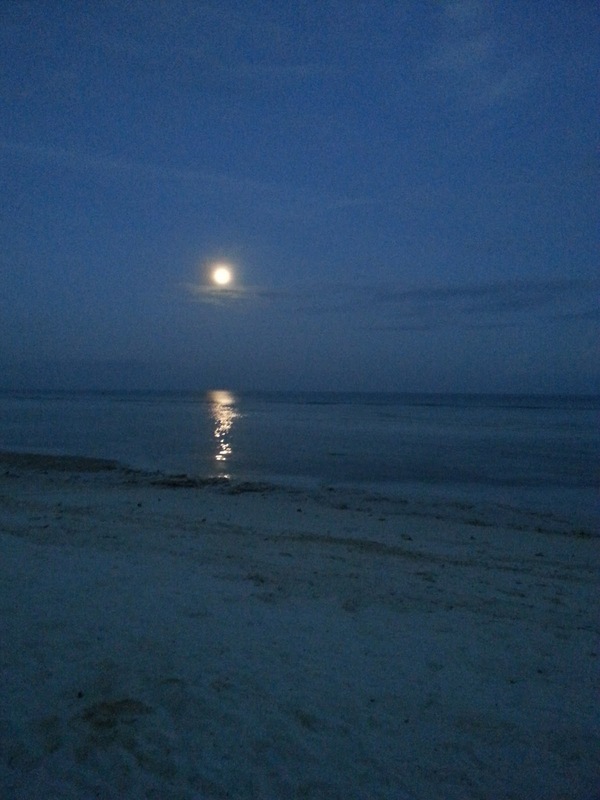 ), the views of the beach is just fantastically worth it. It’s been said that there are areas of which you could snorkel into so you’ll be swimming with dolphins but we unfortunately did not do that. Man, it would have been so awesome because I have never seen a dolphin in real life but if you’re there at Anda Beach, go right up to the staff manning the stations and seek for a swim with dolphins, okay? If swimming in the sea isn’t your forte, then lazing in the sand just has to be. Featuring the cleanest, softest and whitest sands I have ever stepped into, Anda Beach is just a pure winner in why you should visit Bohol. You may not be able to capture the sunset here unfortunately but the moon does come up at around 6 PM and that’s not too bad a sight when you think about it. Life is generally calm and joyful for the Boholanos and perhaps it’s just great to leave it that way, don’t you think? And let’s face it, you would just be as happy as the little ones in this picture if your everyday was the sight of this fantastic each. I know I would have been. Thus ends Elie's adventures in Bohol. 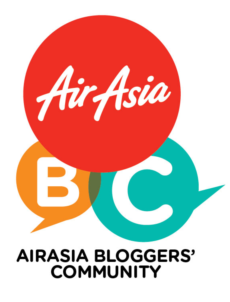 This trip would not have been made possible without Airasia. Thank you for the invitation and opportunity for Elie to gallivant all over Manilla and Bohol.